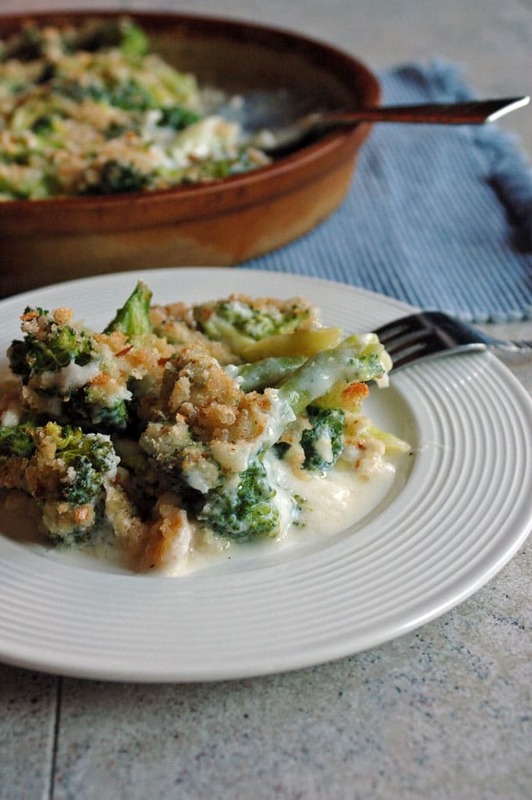 Broccoli Au Gratin with Fontina is for anyone who loves cheesy, creamy broccoli with crispy bread crumbs! A family favorite for many years! It’s perfect for Thanksgiving. Is it too soon for another broccoli and cheese recipe? Okay, good. 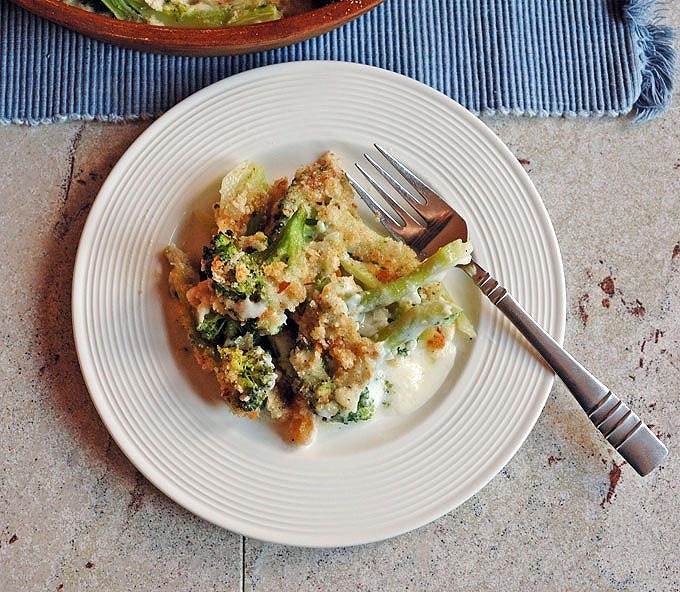 Because you might want to include this Broccoli Au Gratin on your Thanksgiving table. And if your menu’s already full, make a note to come back to this one when you want a special side dish that will wow your family and guests. 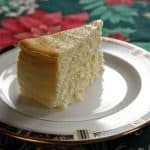 I’ve been making a version of this dish for at least 15 years, sometimes on Thanksgiving, and it’s always very popular. Except now, it’s even better. I ate three servings the other day and called it dinner. The original recipe used Swiss cheese for a classic Mornay sauce. I was all set to make it that way with tweaks to share with you, but like a stunad, I forgot to buy Swiss during my grocery trip. I did purchase Fontina, however, which got me experimenting and forever changed how I will prepare this dish. So, let me describe this Broccoli Au Gratin to you. I briefly boil the broccoli until it is just tender. I make a cheese sauce with butter, tender onions, chopped garlic, flour, 2% milk, Fontina and seasonings. There’s no need for whole milk or cream here, since the sauce is thick and creamy enough, and the Fontina melts beautifully. And I don’t use nutmeg as called for in many cream sauces. I’m not a fan of it in savory dishes, preferring to save it for my zucchini bread and desserts. I’m sure that’s some kind of culinary faux pas, but I’m just going to own it. Anyway, I layer my baking dish with some cheese sauce, the broccoli and the rest of the sauce. Then I sprinkle on bread crumbs mixed with Parmesan, and drizzle the whole thing with melted butter. I bake it in the oven and serve it with some red pepper flakes for anyone, like me, who likes a little heat. 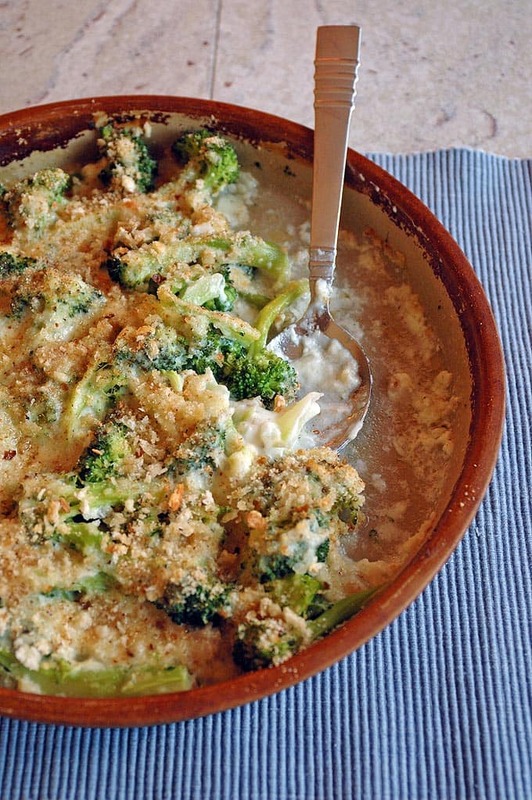 You need this Broccoli Au Gratin in your life. 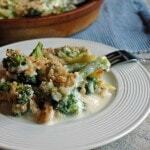 Broccoli Au Gratin with Fontina is for anyone who loves cheesy, creamy broccoli with crispy bread crumbs! Fill a large pot 2/3 full with hot water. Add salt to the water, cover the pot, and put the heat on high to let it come to a boil. While the water is heating, rinse your broccoli. Cut off and discard the thick stems, leaving the florets plus 2-3 inches of stems attached. Slice your florets in half the long way to thin out the stems a bit. Prepare your onion and garlic. Peel and chop half a white onion and measure out 1/2 cup. Peel your garlic and chop it finely. When the water is boiling, add your broccoli to the pot and give it a stir. Lower the heat to medium high and let the broccoli cook uncovered for 4 minutes, or until just tender. While the broccoli is cooking, prepare your cheeses. Shred your Fontina in a food processor or blender, or use a box grater. Grate your Parmesan the same way. When the broccoli is just tender, drain it in a colander in the sink. Rinse the broccoli with cold water to stop the cooking. Add the flour and stir to combine. Cook the flour mixture for a minute. Turn off the heat and stir in your Fontina until it is blended smoothly. Stir in the salt and pepper. To assemble your gratin, ladle some cheese sauce into the bottom of a 1-1/2 quart baking pan (I used my deep dish baker.) You want to cover the bottom of the pan with a layer of sauce. Pat your broccoli dry with paper towels and add all of the broccoli to the baking pan in an even layer. Pour the rest of the cheese sauce all over the broccoli. Sprinkle on the bread crumb mixture evenly. Finally, melt 2 Tablespoons of butter in a microwavable bowl in the microwave or in a small pan on the stove. Drizzle the melted butter over the broccoli and bread crumb mixture. Bake the gratin for 20-25 minutes, uncovered, until it is lightly browned. Serve with red pepper flakes at the table. When I double this recipe, I bake it in a 9x13 or 9x11 pan. 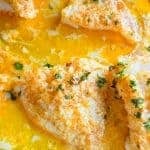 Note that if you are making double or more of this recipe, you will need extra time to get your cheese sauce to thicken, and whole milk will thicken faster than 2%. I made this last night and LOVED IT! 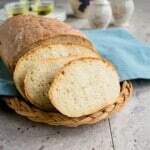 I love that you included how to make your own breadcrumbs… that’s what I always do, usually with heels of bread loves or leftover rolls. But some people don’t think of that! Thank you! I think the chocolate pudding/brownie pie is up next for this weekend 🙂 Hope you’re doing well! I’m so happy to hear that, Brittany! Homemade bread crumbs are a game changer. I did a whole post on using different methods, in case you’re interested. Thanks for your thoughtful comment, and I hope you enjoy the pie! …And it goes with chicken dinner! Okay, now I’m just making corny dad jokes. 🙂 Thanks, Cheryl! Hi Andrea! Would steamed broccoli be acceptable to use? I’m thinking about conserving stove space and using some microwave steamed broccoli. Also, can you make this in advance, storing it in the fridge until it’s time to bake? Thanks. Ps this looks so good. Can’t wait to try it! 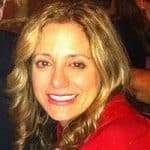 Hi Patti! You could definitely steam your broccoli in the microwave just until it’s tender. I’m not a fan of frozen broccoli, though, so I’d go with fresh if possible, for best results. (It won’t ruin it though.) Also, I’ve assembled this ahead of time, stuck it in the fridge, and then baked it just before Thanksgiving dinner. It would be great if you can bring it to room temperature before baking, but if not, you will have to add extra time for baking. 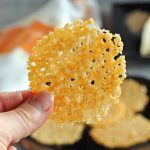 I love fontina and think this recipe looks wonderful! I am pinning it now and will hopefully make it soon. Great recipe, Andrea! I want to use Fontina in everything now, lol! I hope you enjoy this, Tammy! Thanks for pinning. I’m doing a happy dance over here! I love anything ‘gratin’ but have never used Fontina… I think it will become a new favorite! Thanks for sharing! Annie, I was blown away by the Fontina here. I think you will love it!